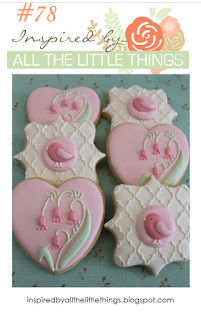 I was inspired by the color pink, the shape of the white cookies, the diamond background, and the little bird in the photo. 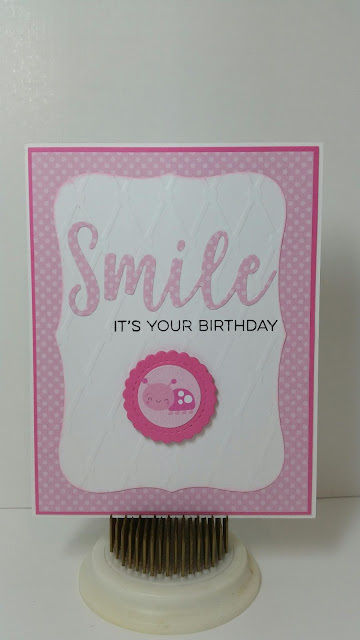 I used all of these elements to create a sweet birthday card. Instead of the bird I used an adorable ladybug from a doodlebug paper pack that I just got in the mail today. I embossed white cardstock with diamonds and dots then cut it with a spellbinders shape. Adorable take on the inspiration! Thanks so much for playing along with us at Inspired By All The Little Things!